I think a huge part of building good bonds together as a family is to spend time with each other. Not just in the same room but meaningful engagement like taking a walk, sitting down together for dinner and our latest favourite – playing a board game. 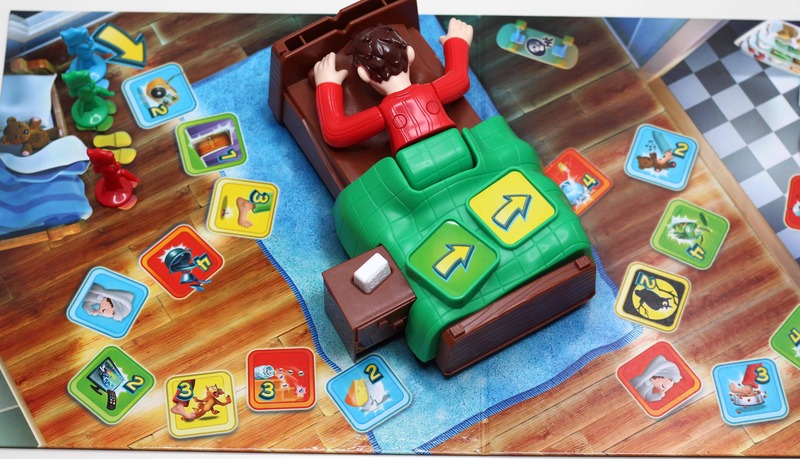 Henry has been at a suitable age to enjoy a board game for the last couple of years. He is competitive in a healthy way and naturally not a sore loser! The latest game we have been enjoying is SSHH Don’t Wake Dad! SSHH Don’t Wake Dad! Is an electronic board game from Drumond Park. It has an age range of 5 years and above and can be enjoyed by 2-4 players. The aim of the game is to creep across the room without ‘waking’ Dad in order to retrieve the chocolate cake. BUT if a player ’wakes’ Dad then he sits up in bed with a start that made even me jump! Each player uses the spinner to determine which colour square they move to next. Most of the squares contain a picture and a number. If a player lands on the square and they are holding the same card as the picture they are safe. If a player lands on a pictured square and does not hold the same card they must press Dads alarm clock the number of times the square states. However if Dad wakes up that player must return to the start. If Dad doesn’t wake up the game continues. I actually really enjoyed the game. 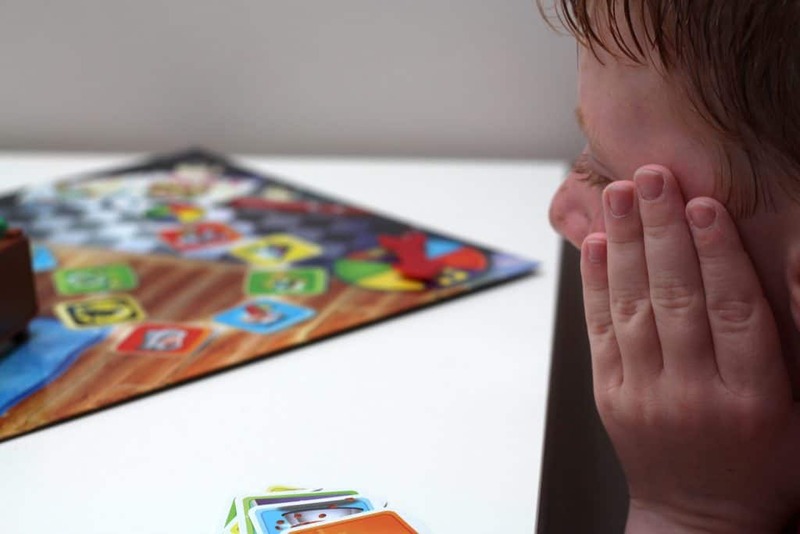 Despite the fact that it is predominantly aimed toward children it wasn’t boring and is one of those games that the whole family can enjoy. There is an element of surprise when Dad wakes up that even made me jump. It’s not scary though so won’t give kids nightmares but it does make the game exciting. We have played with two players right up to four and the game is just as fun and exciting. It’s easy to set up and start playing which is great for younger children like Henry that become impatient. The game lasts a great amount of time too. I have found that when it’s a child’s board game it can be over pretty quickly. This board game was different and managed to keep everyone’s attention and focus whilst playing out for a good time period. The rules are minimal and easy to follow even for young children. 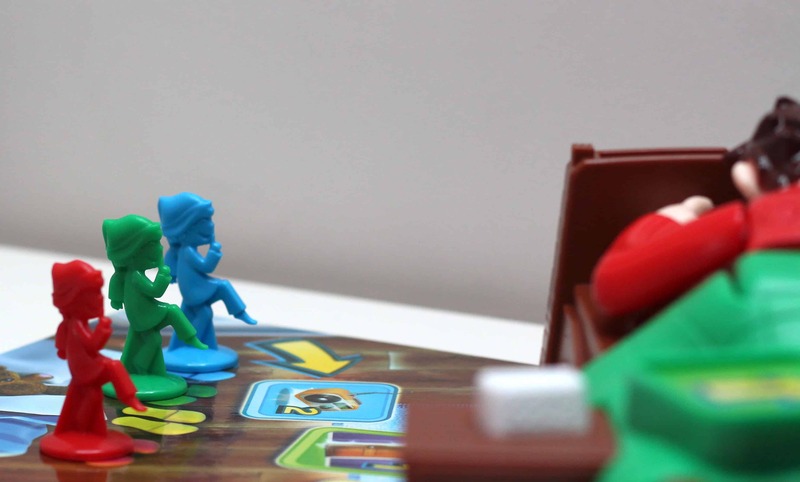 The game uses a spinner attached to the board so there is minimal risk of losing things like dice. It doesn’t take up much room so great if you want to take round to family or pack if you are going on holiday! I think that SSHH Don’t Wake Dad is going to be a family favourite in our house! It’s either hit or miss with things like this for Henry. He is almost six and quite mature for his age. I had previously put off purchasing this game despite the incessant pleas from him whenever the advert came on the TV. The thing is I have wasted money on games like this in the past and I just wasn’t sure this was a game Henry would actually enjoy or play. All that being said, Henry couldn’t enjoy it anymore if he tried! I think it’s the concept of the game – sneaking past Dad to get some chocolate cake! The excitement from trying not to wake Dad and the element of surprise if Dad is woken! He finds the game easy to play and can easily explain the rules to new players. 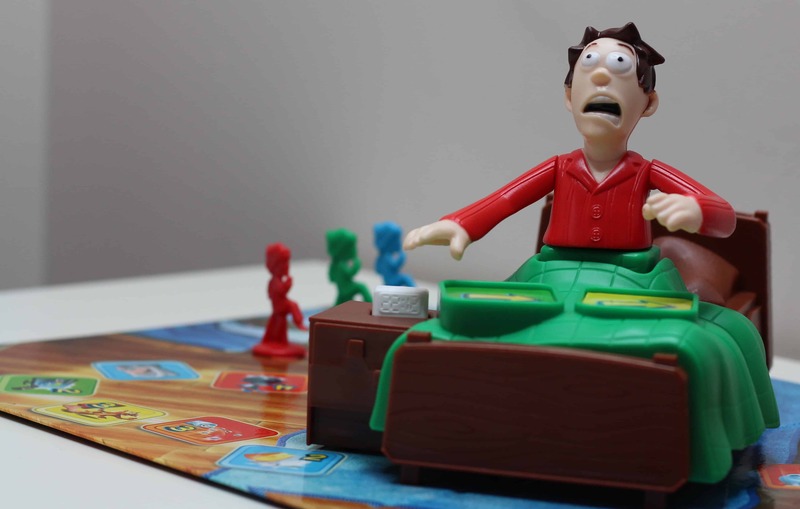 This board game is easily on Henry’s level without being too childish or boring. He isn’t overwhelmed by several different rules or board half way through the game. He is genuinely excited and absorbed when he plays and makes for a great distraction from boredom especially if it’s raining outside!! 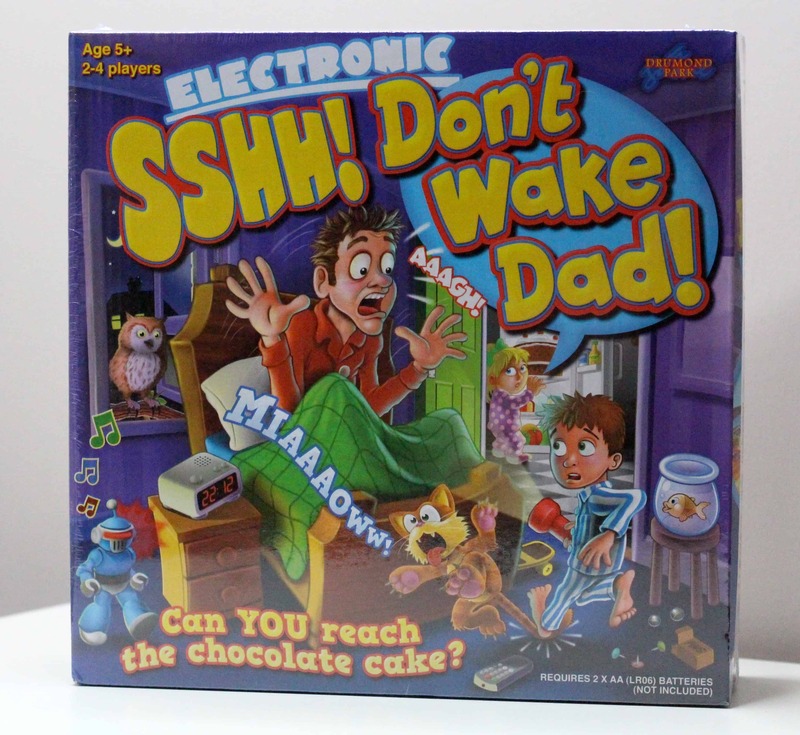 Do you think you and your family would enjoy the fun and adventure of SSHH Don’t Wake Dad? 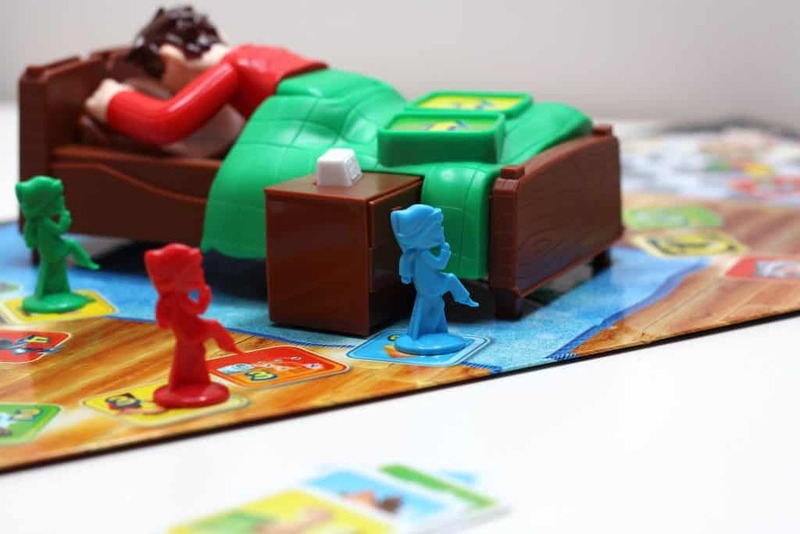 Well lucky for you Drumond Park have kindly offered to give one of you lucky readers your very own SSHH Don’t Wake Dad board game! How cool is that? Enter using the widget below! Don’t forget to stop by the Drumond Park website here. Drumond Park also have a blog where you can learn bout similar games that might interest you – check that out here. *I received SSHH Don’t Wake Dad from Drumond Park on a gifting basis in return for an honest review. As always all words, opinions and views are my own. For more information on any of this please head over to this page.